In the past, circumstances may have resulted in unpaid or delayed payment of loans and credit cards. You may have unfortunately filed for bankruptcy at one time. Your financial history is reported to the credit bureaus – and it is reflected I your credit score. Banks and other lending institutions to determine if you’re a good candidate for a loan consult this record. If your credit score is low, you will find it difficult to get a mortgage, credit card, car loan or business loan. Banks will look at you as high-risk and will not even consider your loan application. The only options that will be available to you when you need extra cash are high-interest loans. Circumstances may have changed now, and you have a stable job. But the problem is, the banks care more about your financial history. So, how can the average consumer rebuild their credit and correct past financial mistakes? Before you start rebuilding your credit, pay off your current creditors first. This is the first step. You can consult a credit counselor or a bankruptcy expert and they will guide you and present options that will work for you. The process of rebuilding credit and slow and will require patience and diligence on your part. But once you’ve improved your credit standing, you will have access to more affordable, low interest financing options. Can Payday Loans Help Rebuild your Credit? 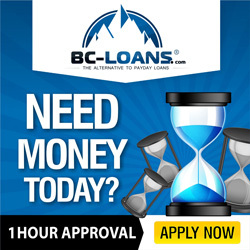 Payday loans have a very short loan repayment term, usually 2 weeks – and these loan companies do not submit a credit report to Equifax, Trans Union Credit or Northern Credit Bureaus Inc. – Canada’s 3 main credit reporting agencies. The loan term is just too short and will not really reflect an accurate repayment history. You need to find a lender who submits reports to the credit reporting agencies, so your payment history will positively reflect on your credit score. There are sub-lenders who submit credit scores to the credit reporting agencies. If you are taking out a loan, check if rebuilding credit is part of the service they offer. Lendit Financial has a GIC Investment Loan, which helps you to build up your financial savings and re-establish your credit history – regardless if you currently have poor credit scores. Your Lendit GIC loan will automatically be invested in a trust for you and you will make monthly payments depending on the loan term that you choose. The monthly interest rate is 12.99%. This loan is good if you’re saving for a house, a vacation or your child’s education. The best thing about it is that your repayment history is reported to Equifax, giving you a chance to improve your credit score. Another bad credit lending company who can help repair your credit score is FastAccess Finance. They offer short-term loads and they also submit reports to Equifax. Do not submit too many credit applications. 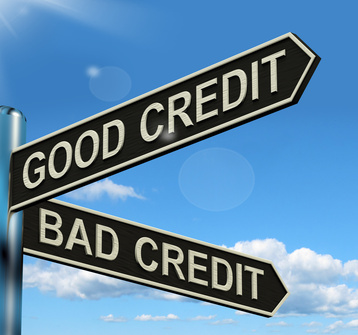 Too many institutions asking about your credit may negatively impact your credit score. Apply for a short-term loan which you can comfortable pay. Make sure the company is reporting credit scores to the credit reporting agencies.